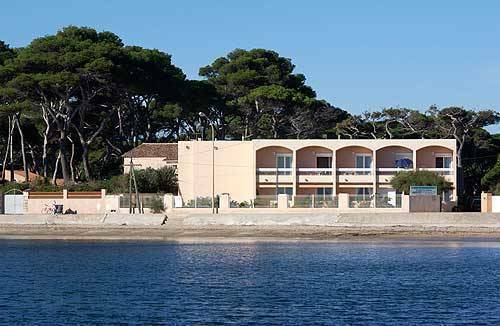 In a pleasant setting, between sea and pine trees, facing the islands of Hyères or Gold Porquerolles islands, Port Cros and Levant, the residence welcomes you all year. The residence is situated near the sea, near the marina (300m) and is easily accessible from the airport. It has private parking, a solarium, a private garden (table tennis club ...), dive from the residence. 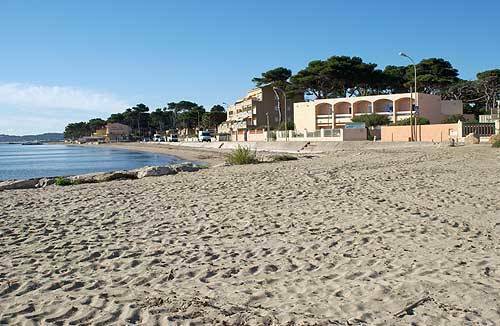 The apartments and studios are well equipped, some with sea view or garden. - The building next race: the quiet garden, comprises 6 studios including a fully equipped for mobility. A kitchen that allows everyone to take their meals and breakfast in his studio. The coating consists of a 2 bed places for 4 people and 1 bunk bed 2 folding beds (plus covers). Heating in winter. 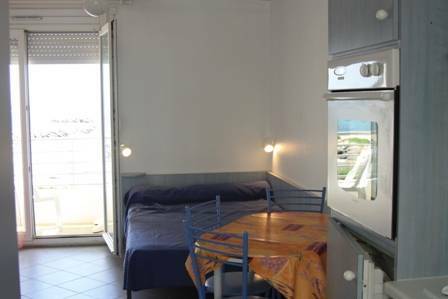 Studio Cote d'Azur Rated for up to 4 people with terrace ground floor and balcony upstairs, they are composed of: - A kitchen that allows everyone to take their meals and breakfast in his studio. - A bathroom with shower cabin, washbasin and toilet The coating consists of a 2 bed places for 4 people and 1 bunk bed 2 folding beds (plus covers). Heating in winter. Apartment Hyéres T2 Rated for up to 6 people. As the studios are fully equipped only sleeping is different with single bed (extra bedroom). The conveniences of home location A beach front, garden, table tennis, barbecue, solarium, bowling. - A private parking, opportunities to park a car. 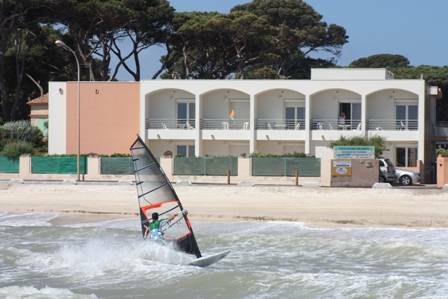 - A sport where you can store your surfboards, bicycles, diving equipment and sailing. In case of cancellation or modified up to 2 days before date of arrival, does not levy fees on credit card provided. In case of cancellation or modification, the hotel will charge on the credit card, the amount of the first night. In case of no-show, the hotel will charge on the credit card provided, the total amount of the reservation.